Feel Better Soon with A Joke, Your Personal Kleenex Box, and a Free Movie from Vudu! Ha, ha... right? Yes, a very simple (some may say lame...) joke, but when I was in 5th grade it was a funny joke that my teacher told our class that has stayed with me all these years! Just like this joke, Kleenex brand tissues have also stayed right by my side and my family's side all these years...especially during cold and flu season. When I think of tissue brands, Kleenex is the first brand that comes to mind. I mean there is a reason that everyone calls all brands of tissues "kleenex". They have definitely made a name for themselves and stood behind it with soft tissues that are durable against even the worst cold! Thankfully, since we have started daily vitamins and changed our diets to organic foods, cold season isn't as bad as it used to be for us! However, when it does hit, it hits hard and it is always useful to be prepared ahead of time because I know I definitely won't feel like going to the store when I am sick or I have been up all night with one of my children or husband that are sick. So I recently headed to our local Walmart to stock up on some cold/flu supplies and Kleenex tissues so we are ready whatever comes our way this winter! While at Walmart, we bought allergy pills, lip balm and, of course, Kleenex brand tissues. 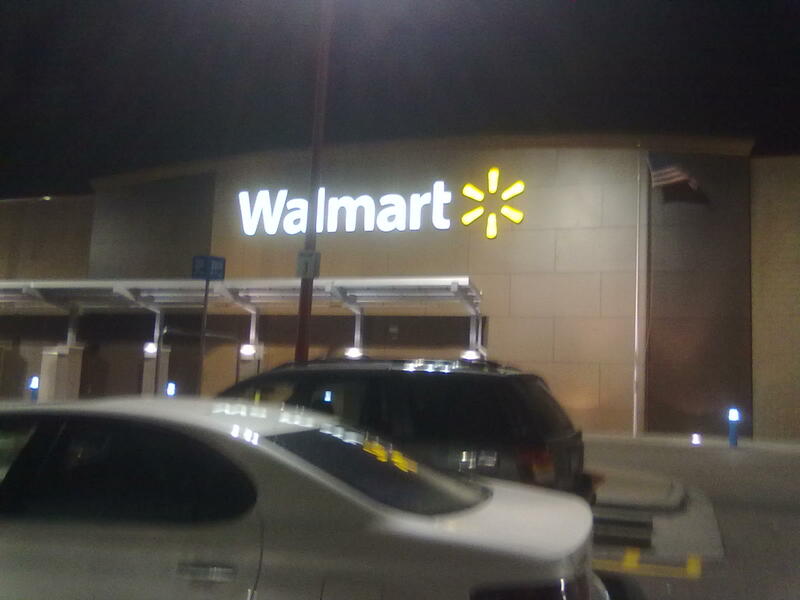 You can see my Google + story about our Walmart shopping trip here. 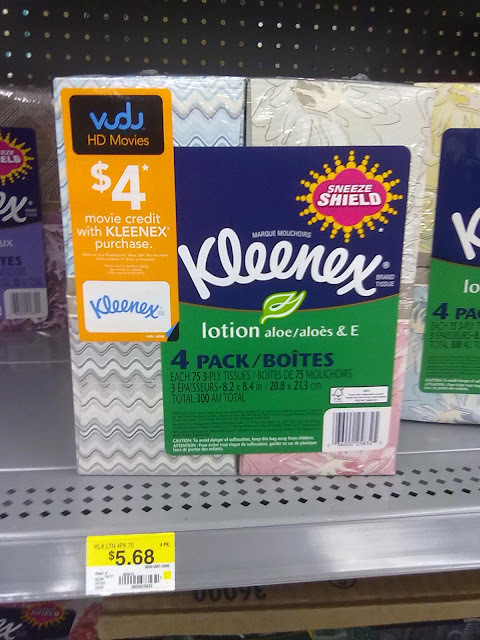 Plus, we got the added bonus of a $4 Vudu movie credit code on our Kleenex box so we can get a free movie to watch the next time we get sick and don't want to leave bed! In addition to the supplies, we picked up at Walmart, I make sure to always have tea, humidifiers, lots of vitamins, chest rub, lotions (for dry noses! ), air purifiers and lots of water on hand when my family catches the flu or cold! We prefer a more natural approach to sicknesses so we don't really use any cold medicines (unless it is all natural). Rest, lots of vitamins, water, and humidifiers at night usually do the trick with our family and we really focus on prevention before the sickness happens! However, for me, my favorite "medicine" when I am sick is to sit in bed and feel sorry for myself. (JK)!! But. seriously, I love to sit in bed, put my favorite chick flick (or latest movie that I haven't seen yet) on and take a minute for myself to just relax! I don't get that chance very often being home alone with two kids all week but if my husband takes a day off to allow me to fight my cold/flu, I take it! That is why I love that the Kleenex box I bought at Walmart had the $4 Vudu movie credit! 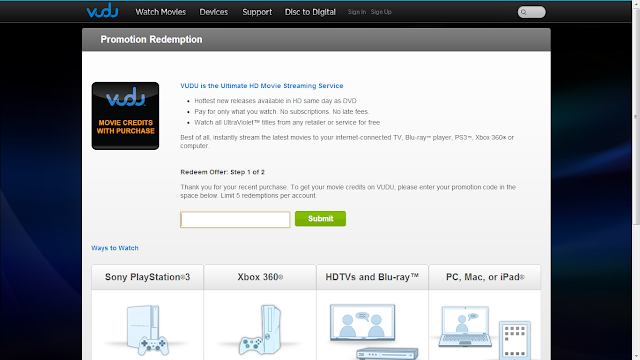 I now have $4 to spend for a movie and I can watch it on my laptop anytime I want! I am definitely saving this for the day I get to sit in bed and relax! So next you get sick, remember my "really funny" joke that I gave you and try to put a smile on your face. If that doesn't work, settle down with your own personal Kleenex brand tissue box and the movie of your choice from Vudu and FEEL BETTER SOON!